In the eighteenth century Maratha chieftains under the Peshwas took control of most areas of Madhya Pradesh, and over a period of time established their own kingdoms. Prominent among the Maratha kings in this region were the Holkars who ruled the Indore region, Scindias of Gwalior and the Puar Parmars of Dhara. The cuisines of many of these royal families have evoked interest in last few decades, and the food lovers have especially been exposed to them from an engrossing book written by Maharaja Digvijay Singhji of Sailana. 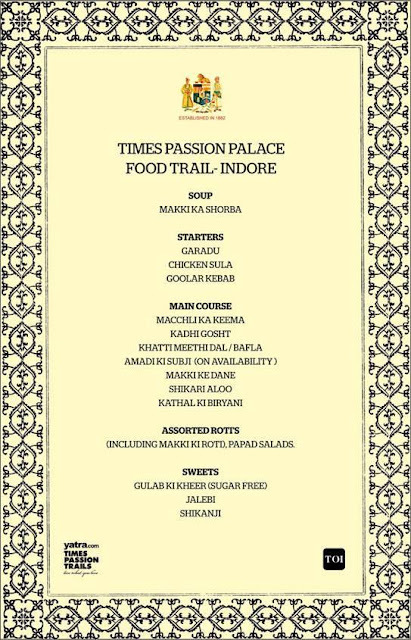 The Palace Food Trail organized by Times Passion Trails took a group of enthusiastic food lovers from all over the country to Maheswar, Dhar and Indore to get a firsthand feel of the Royal cuisine in some of these places. Our first stop was Maheswar, a quiet place next to the Narmada river. The 250 years old Ahilya Fort and Palace is now a heritage hotel and our stay was planned here. The property, constructed in the Marathi wada style, has an old world charm and you get a scenic view of Narmada river from the main courtyard. The Ahilyabai temple is just next door leading to the river ghat. 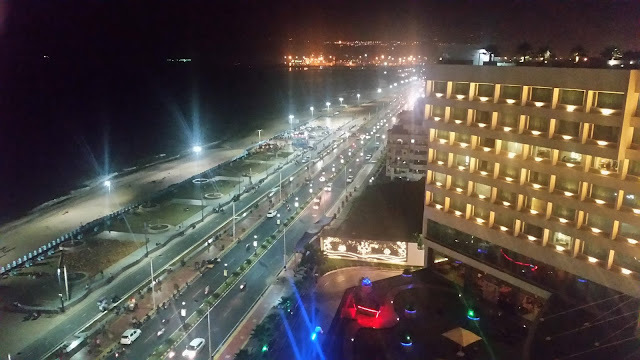 H.E Richard Shivajirao Holkar of the Royal family owns the property. He himself is a food lover as well as a chef. I was told that the menus for the guests here are decided by him, and in some cases it is his own recipes too. He had also co-authored a book on Royal recipes. Naturally I was looking forward to the food served here. I was told that often the food served here has a lot of contemporisation of the traditional Holkar cuisine. 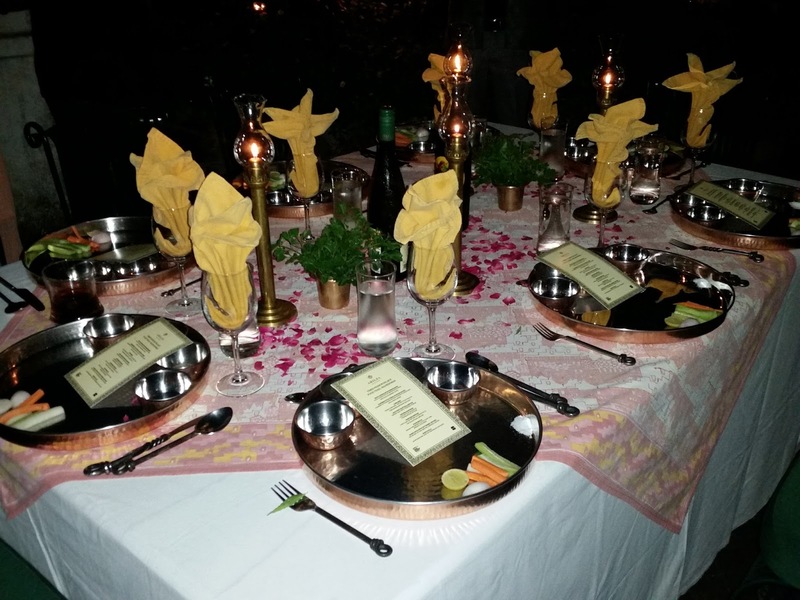 Dinner was soon served in an open courtyard adjoining the rooms on beautifully laid out tables. 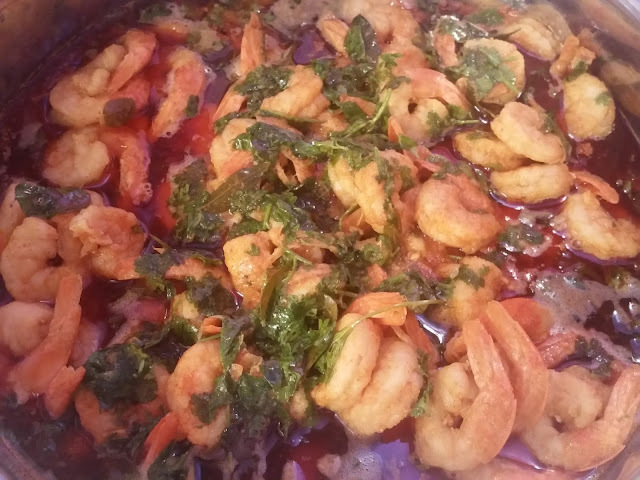 We started with Poyee Bhajji, a stir fried recipe of spinach. Another highlight was Bhutte Ka Kees, a Maharastrian delicacy of grated corn. In Indian vegetarian cuisine, often jackfruit is substituted for mutton using the same masalas. 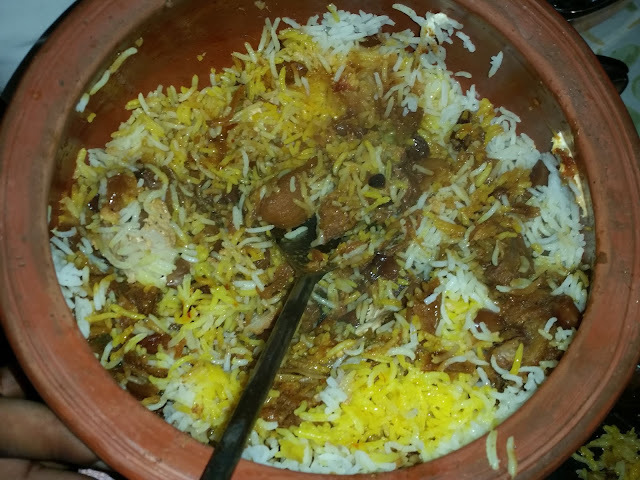 Here we had a version of Jackfruit Biryani where the spices well balanced and the kathal cooked to perfection. But the preparation which bowled me over was Duck Cooked with Pomegranate. 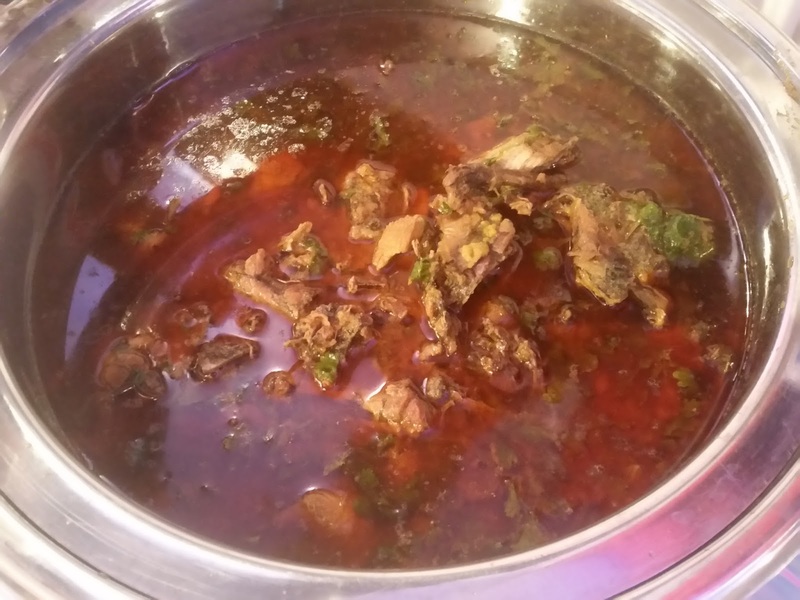 Supposed to be a Dogra Kashmiri recipe, the thick gravy with anardana was brilliant and the duck meat soft. Chicken Survedar the other non-veg dish served was a favorite of Maharaja Yashwantrao Holkar. It was again a delicate preparation with chicken with a subtle coconut flavor. 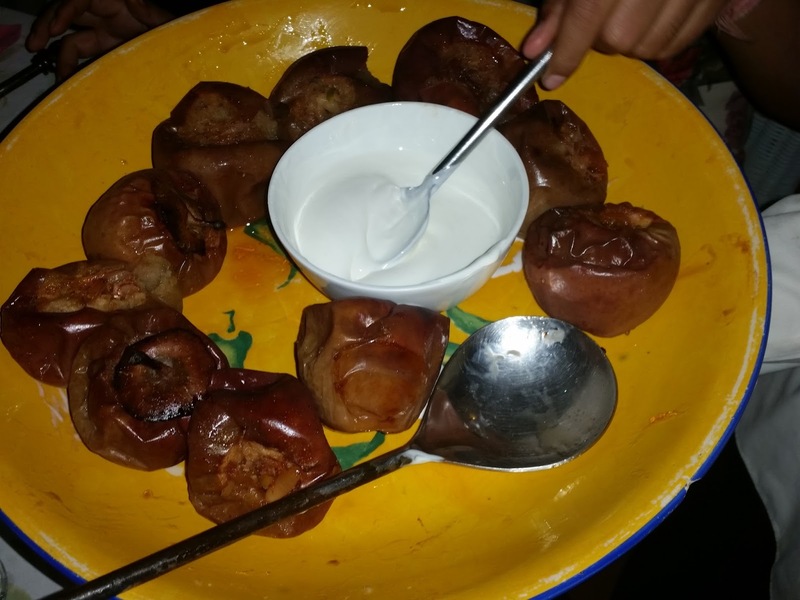 The desserts was Baked Apples – served with a secret white sauce. 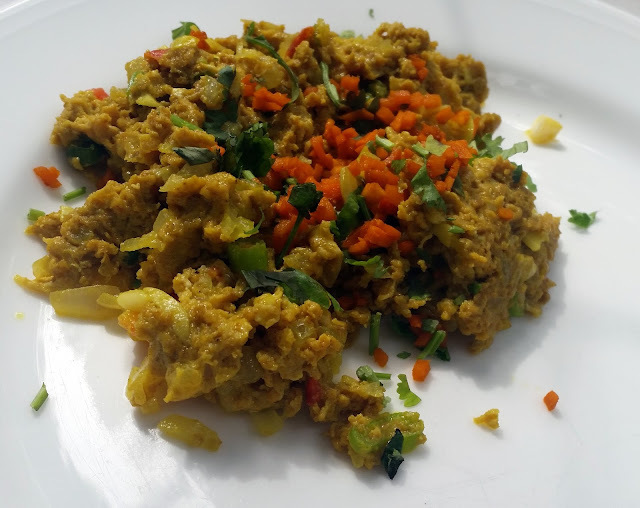 For the breakfast next day again some local dishes were served – my particular favorite was Maheshwar style masala scrambled eggs with lots of vegetables and the poha prepared in traditional Maharastrian style. The lunch, which was the last meal there was again quite sumptuous – the standout dish being a version of Mutton Rogan Josh, which was cooked using a small goat. Though it tasted more like mutton curry to me, the taste of the curry was so delicious that it forced me take couple of extra helpings. Among the vegetarian items, the homestyle potato sabji was a perfect foil for the puris. After lunch, we proceeded to the Malwa region of Madhya Pradesh. 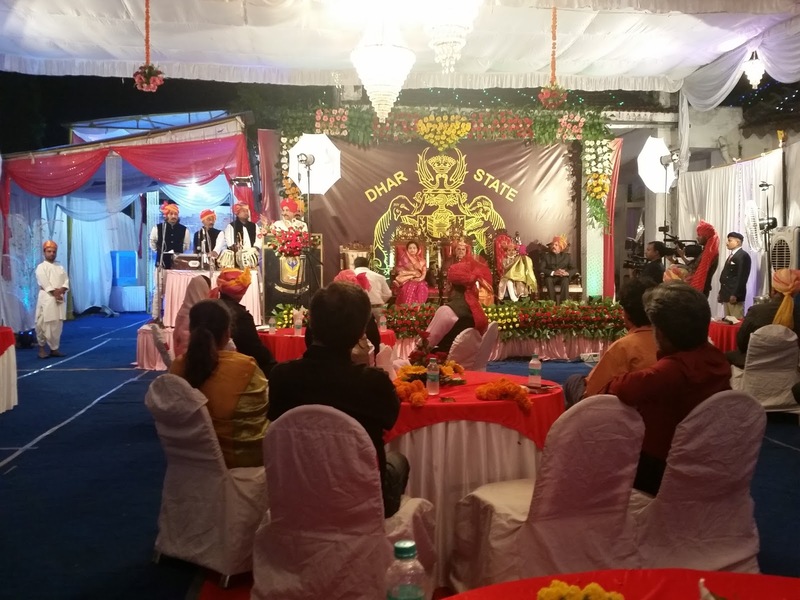 Our dinner was arranged at the guest house of the Maharaja of Dhar, another erstwhile Maratha kingdom close to Indore. To give it a festive touch, all the male participants in the trail were in safa – the traditional Marathi headgear. The guest house of the Maharaja in Dhar town was well lit up. We as guests were invited to the durbar of the King, which was specifically set up for us. I have never been to a King’s durbar and was very impressed with the proceedings, including the kulgeet and the speeches. The Maharaja of Dhar HH Hemendra Singhji is a food enthusiast, in fact he himself prepared couple of dishes for the dinner. We had access to some of the recipe books of the family, which has clearly documented all the Royal recipes. 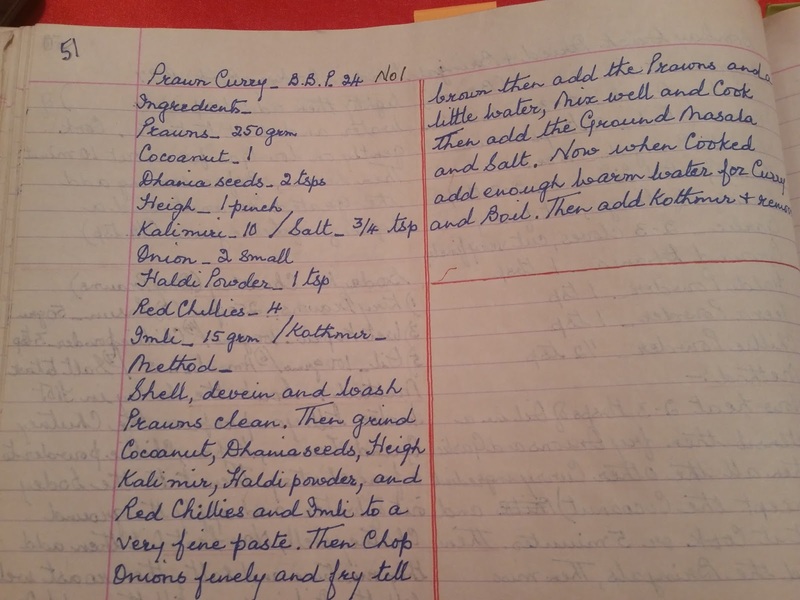 Some of the recipes had been handwritten by the King himself, who took it down from his mother. The menu for the dinner here was quite impressive too. 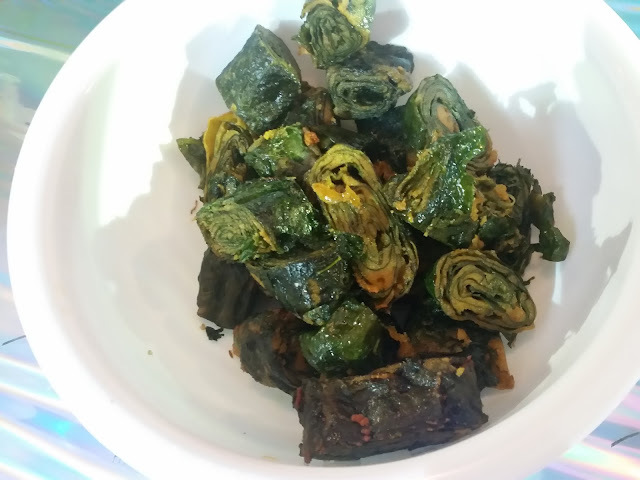 Among the starters my favorite was Arvi Ka Vadi, colocasia leaves rolled with a besan and garlic based masala and then steamed before cutting them into pieces. The Keema Samosa was well stuffed and also delicious. There was a fish fried in a red marinade where the freshness of the fish caught my attention. I have heard about Kadaknath Chicken for a long time. These are fowl with black feather, black bones and blackish blood found in parts of Madhya Pradesh. The meat of this variety has high demand as it is allegedly known to have medicinal use. 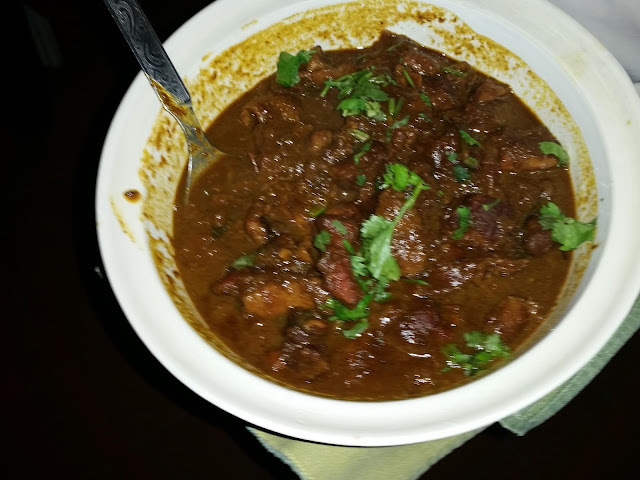 The Black Fowl Chicken Curry here was cooked in lots of ghee and a ginger and black pepper based masala. I was told that this masala can be prepared and stored and used over a period of time. The other impressive dish was Dhar Style Prawn Curry cooked in a red colored masala which went with the Jowar Rotis served. There was another type of roti which had two separate rotis sticking to each other – I think it was called Do Phool Ki Roti. The dawaat had some nice tasting mutton pickle too. I had a long chat with the chef who had prepared the vegetarian items here. He said that recipes in this region are simple and easy to prepare. It is never spicy and chilies are hardly used. A bitter gourd dish with a nice flavourful masala caught my attention. I was told that this special masala has coriander, til, poppy seeds and garam masala among other ingredients. The Bharwa Mirch here had a special masala containing amchur. There were quite a few types of uncommon chutneys served as condiments – peanut based, copra based, and poppy seed based. 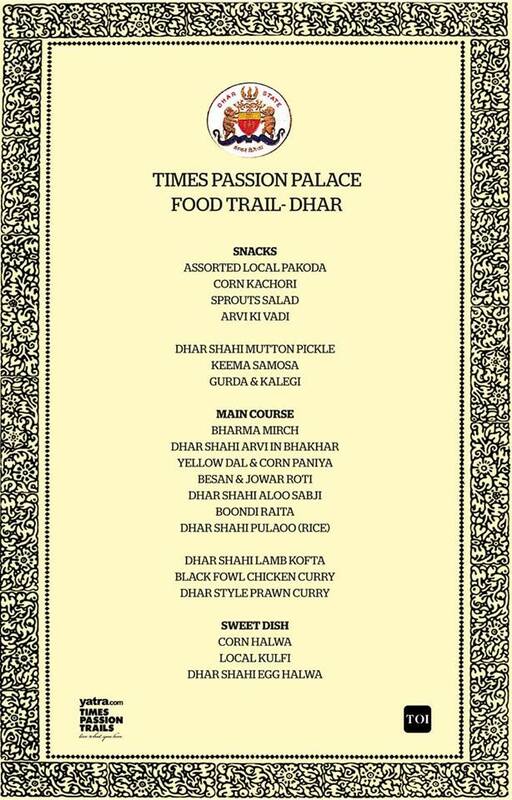 The dessert platter had the famous halwas of Dhar – one prepared with corn and the other egg. Both were absolute hits with the diners. I was told that Laccha Rabri is another famous dessert of this area where milk is condensed into lacchas of malai at the side of the vessel and then other ingredients such as saffron and nuts are added. However it was not in the day’s menu. The evening really impressed us with the grandeur and the warm hospitality extended by the Royal family. Our final stop of trying out the Royal Cuisine was at the Daly College Indore where a sumptuous lunch was organized by Mr. Sumer Singh the Principal of the college. 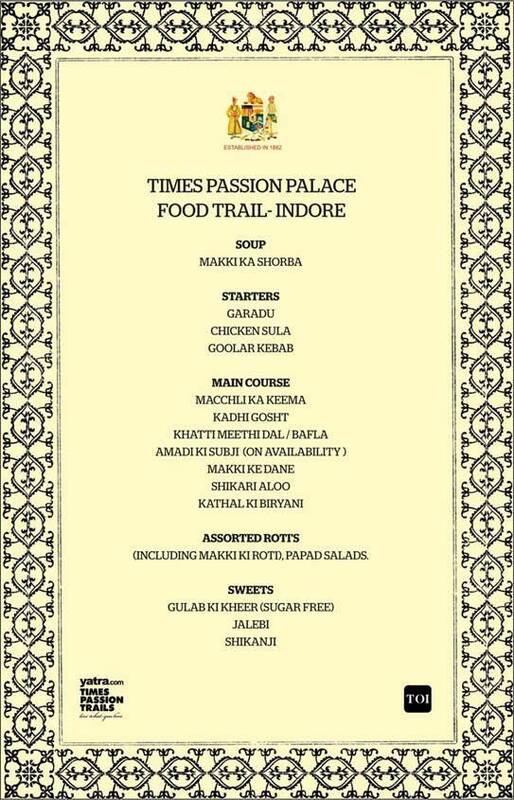 Mr. Ravi Pratap Singh Ranavat, a renowned chef of Indore who specializes in Royal cuisine had prepared the food. 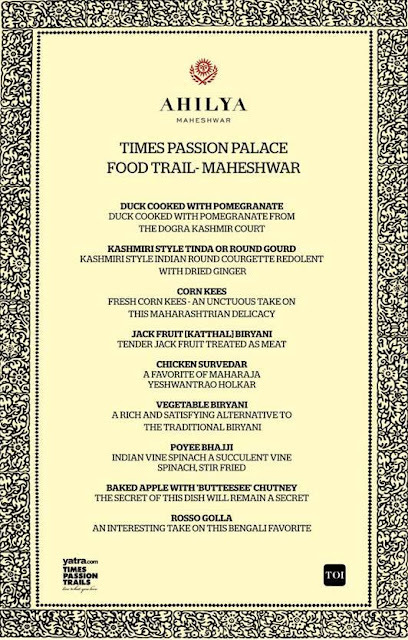 Mr. Singh told us that he had conducted food festivals specializing in Royal cuisine for the Taj group at different parts of the country, and he has chosen a few unique dishes for the day. Goolar Kabab was easily the most popular. 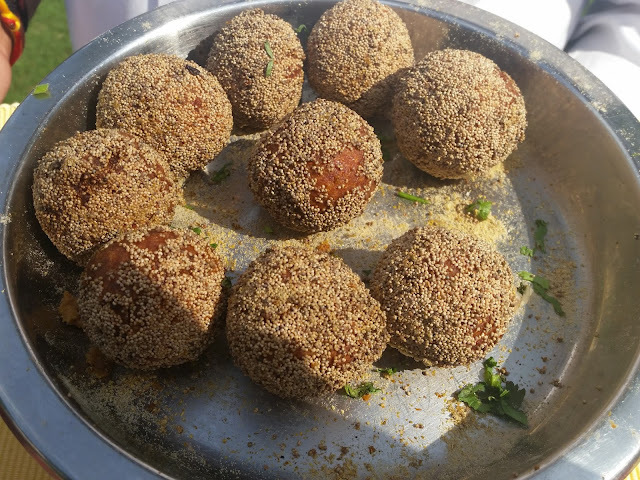 The kabab has a round shell of mutton keema wrapped around diced onion and vegetables and then fried with a khus khus coating. It was hard outside and soft inside, presenting a myriad of tastes which burst in the mouth. The other starter of note was the soft Chicken Sula Kabab, prepared with a Rajasthani masala on charcoal. 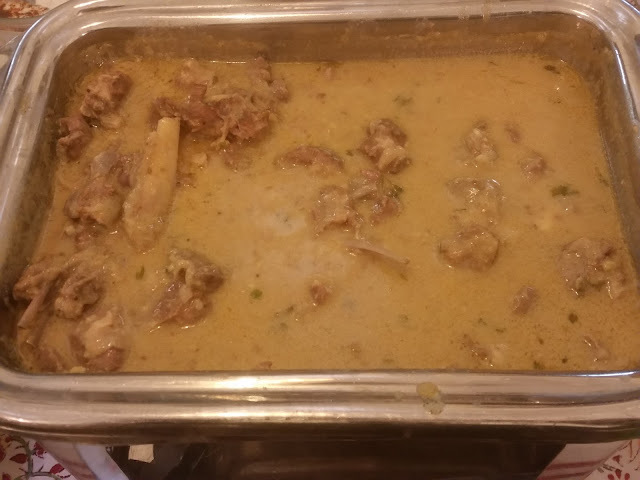 Among the main courses, I loved the Kadhi Gosht or mutton cooked in a yoghurt and besan based gravy. 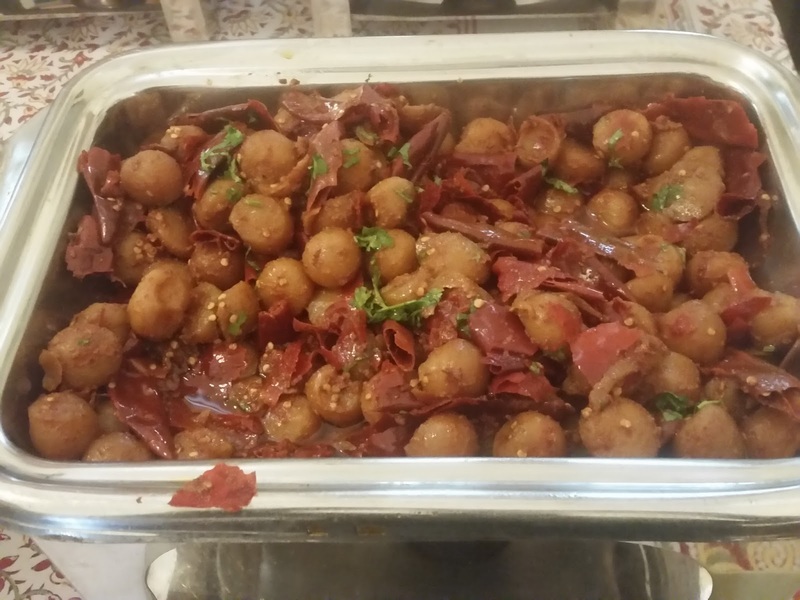 Among the vegetarian items, Shikari Aloo was a simple dish of baby potatoes prepared in onion and red chilies with very little masala, normally the little spices carried to a shikaar. The dessert had Gulab Ki Kheer. The kheer here was quite different from the version at Bhopal. We were told that a little bit of sugar is normally added to it. A nice end to a good meal. 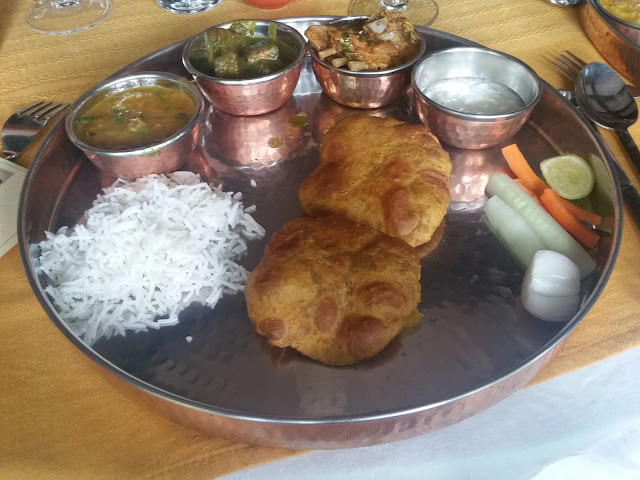 The series of dawaats helped us get a significant overview of the Royal food of Maratha Kings of Madhya Pradesh. There were distinct difference in style and ingredients from place to place. 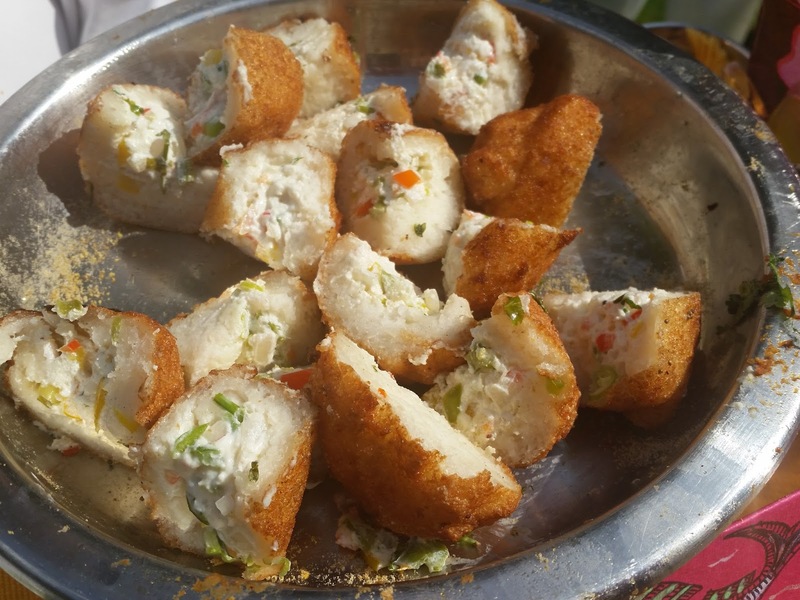 Whereas the Holker food had quite a bit of fusion element in it, Dhar and Indore were much more traditional. Overall, it was an extremely enjoyable experience with Times Passion Trails.